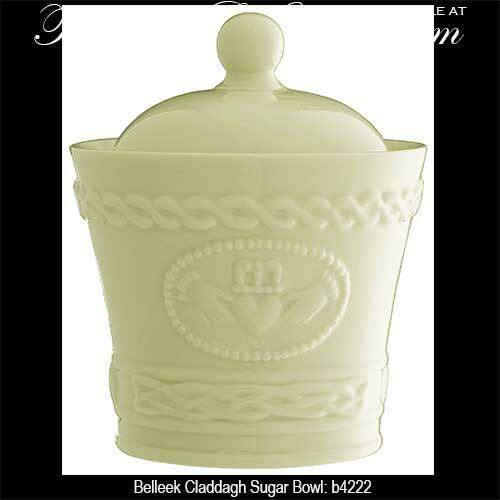 The Belleek Claddagh Sugar Bowl was Introduced in 2016. This Belleek China sugar bowl is enhanced with the Claddagh along with a Celtic knot motif that is embossed on both sides. 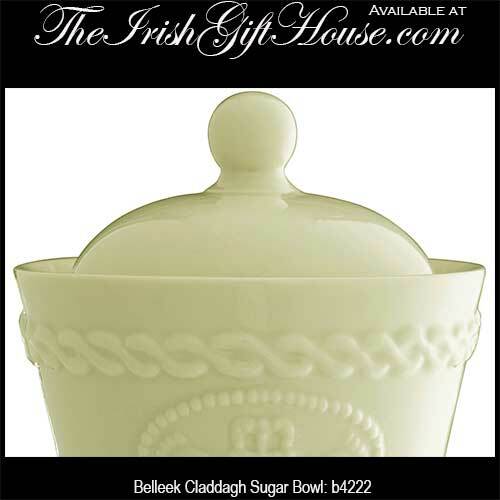 The Belleek Claddagh sugar bowl holds 10 ounce and measures 4 3/4" tall x 3 3/4"; it is complete with a lid. 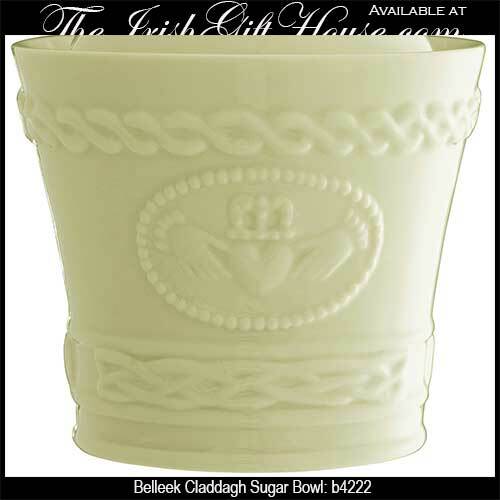 The Irish bowl is hand crafted of fine china in Belleek, Ireland and it is gift boxed with Claddagh and Celtic knot history cards, complements of The Irish Gift House.